Baba Bag Co. was founded in the year 2006 in Saharanpur (Uttar Pradesh). The company is being proficiently managed by Mr. Anoop Mittal, the experienced Manager of the enterprise. 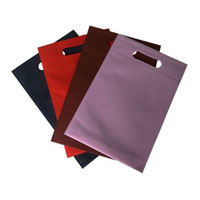 The company is known as one of the famous Printed Paper Bags Manufacturers and Suppliers, based in India. In addition, the company also provides a range of HDPP Woven Bags, School Bags, etc.